Paddy Jackson is among the replacements for Ulster despite not featuring against England. SIX DAYS ON from helping Ireland defeat England in the final match of the Six Nations, Iain Henderson and Jared Payne will start Ulster’s Pro12 clash away to Dragons tomorrow night (19.35, BBC). The versatile forward will play at blindside in a back row that also includes Chris Henry and Sean Reidy, while Payne completes a back three with Craig Gilroy and Charles Piutau. 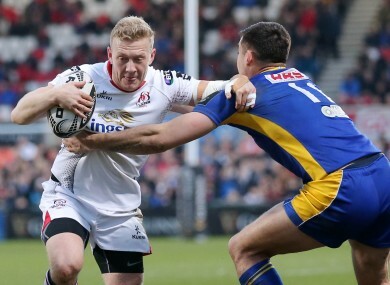 With Paddy Jackson among the replacements, Stuart Olding will start in the out-half position. On his 100th appearance for the province, Luke Marshall will be at outside centre with Darren Cave at 12. Email “Iain Henderson starts, Stu Olding 10 again for Ulster's Dragons trip”. Feedback on “Iain Henderson starts, Stu Olding 10 again for Ulster's Dragons trip”.